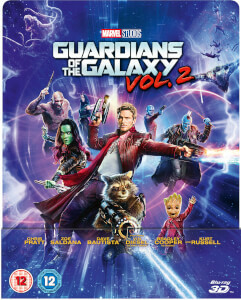 Set to the all-new sonic backdrop of Awesome Mixtape #2, Marvel Studios’ “Guardians of the Galaxy Vol. 2” continues the team’s adventures as they traverse the outer reaches of the cosmos. The Guardians must fight to keep their newfound family together as they unravel the mystery of Peter Quill’s true parentage. Old foes become new allies and fan-favourite characters from the classic comics will come to our heroes’ aid as the Marvel Cinematic Universe continues to expand. Cover art is visual feast to the eyes when it is a lenticular 3d artwork, great job Zavvi! The movie itself is stunning on a 4K tv! A great Marvel film and fun for all the family and Marvel fans. I really wish I still had my first issue of the comic when I was a kid! Anyway a real collector's item, get them while they are still available! 5 stars!